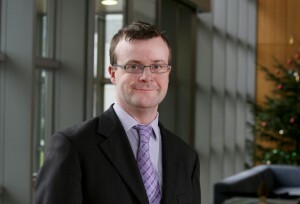 Prof B Hennessy is an international leader in the application of reverse phase protein arrays (RPPA) for quantitative protein profiling to interrogate predictive and prognostic markers in breast, colon and other cancers, and has established this technology at RCSI. Professor Hennessy is a clinician scientist whose research team has had a considerable impact on the fields of kinase signaling and BRCA mutation research in cancers including gynecological and breast cancers as evidenced by his peer-reviewed publication record (>100 publications). In addition, Professor Hennessy was co-PI of two United States National Institutes of Health (NIH) Specialized Programs of Research Excellence (SPORE) grants while at M. D. Anderson Cancer Center, and is currently vice chair of ICORG, the All Ireland Cooperative Oncology Research Group.